SHAZAM! Starting right now, you can unlock new in-game items inspired by the hit DC Comics film, and the best part is, they're free! Just as Billy Batson says, "Shazam!," to get his super powers, so too will you get your items! Just enter key word "shazam" in the "Redeem Code" menu to get the official Shazam Octane Decal and Shazam Wheels. These items may not come with super strength or bullet immunity, but you'll still look super cool when your Battle-Car goes flying through the air! Rocket Pass 3 begins on April 17, and with it comes a new Weekly Challenge system. 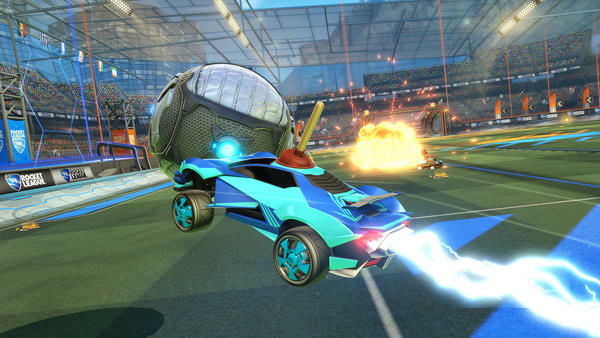 Challenge systems are found in plenty of titles in the online gaming space, but adding Challenges to Rocket League presented some unique "Challenges" of its own. Q: HOW LONG HAVE CHALLENGES BEEN IN THE WORKS? Scott Rudi, Game Director: Oh man, for a few months, give or take. We were working on the design shortly after Rocket Pass 1 based on what we were seeing in there. The idea was to keep players wanting to Tier-up evenly even later throughout Rocket Pass. We wanted to keep people engaged on a weekly basis, and we think the Weekly Challenges are a better way to drive that. The Pro Tiers have always been the biggest draw, so the goal was to get players to that level faster and earlier. That's why we went with some of the design decisions that we did. The Rocket Pass Challenge System only adds to the speed in which you Tier-up. Get out there and rocket! Weekly Challenges will go live on the first day of Rocket Pass 3, and will add a new way to climb Tiers. Specifically, Tiers are now gained with a new Rocket League reward system, known as "Tier Points." Tier Points are earned by completing Challenges but they're also earned by gaining XP after Online Matches, similar to how it worked in Rocket Pass 1 and 2. How does it work together now? Well, in Rocket Pass 3, each Tier requires 10 Tier Points to advance to the next Tier. Challenges will be worth three, five, and eight Tier Points depending on the difficulty of the Challenge. In addition to the Tier Points you gain from completing Weekly Challenges, you can also Tier-Up from XP as mentioned above. Every time you gain an XP level, you'll receive 10 Tier Points. Weekly Challenges must be completed during the week in which they are active. They will expire once new Challenges become active during the following week. Rocket Pass 3 will still track your progress for Premium Weekly Challenges even if you have not purchased Rocket Pass Premium, but you will only receive the Tier Points from Premium Challenges once Rocket Pass Premium has been purchased. If you purchase Rocket Pass Premium late into Rocket Pass 3, you will receive the Tier Points from completed Premium Challenges in expired weeks. However, you will not be able to complete uncompleted Challenges once they expire. The Challenge list will refresh each Wednesday at 10:00 a.m. PDT (5:00 p.m. UTC) throughout Rocket Pass 3. 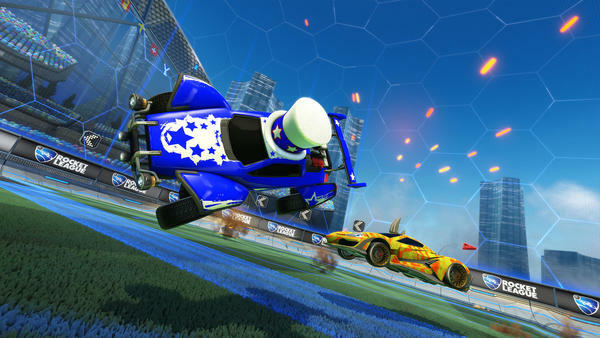 Rocket Pass 3 will feature 20+ items in the Free track, and 50+ additional items in the Rocket Pass Premium Track, including the all-new Guardian Battle-Car. Plus, there are Decryptors to earn on the Free track and a total of 10 Keys in Rocket Pass Premium. The Pro Tiers are back! Pro Tiers (i.e. past Tier 70) will grant Painted items from Rocket Pass 3, and will have a chance of being Certified or Special Edition. As always, rewards earned from the Pro Tiers in Rocket Pass 3 are tradable. Rocket Pass Premium for Rocket Pass 3 is the same price as previous Rocket Passes (10 Keys). Rocket Pass 3 will have both Free and Premium Tiers, just like Rocket Pass 1 and 2. Rocket Pass 3 will have Weekly Challenges for both Free and Premium tracks. The Free track will have three Weekly Challenges and those with Rocket Pass Premium will get three additional Weekly Challenges. Challenges expire each Wednesday at 10 a.m. PDT (5:00 p.m. UTC) during Rocket Pass 3, and new challenges will become active at that time. Weekly Challenges must be completed within their active week. You cannot go back and complete expired challenges once their week has passed. If you purchase Rocket Pass Premium in a later week during the Rocket Pass 3, you will receive Tier Points for completed Challenges from previous weeks. For a full list of FAQs, be sure to check out the Rocket Pass 3 website. We hope you enjoy taking on the new Weekly Challenges in Rocket Pass 3. Good luck, have fun, and see you on April 17! Our next update — the Esports Shop Update — is just over the horizon, with a bunch of new content we're excited to bring to Rocket League coming right along with it! 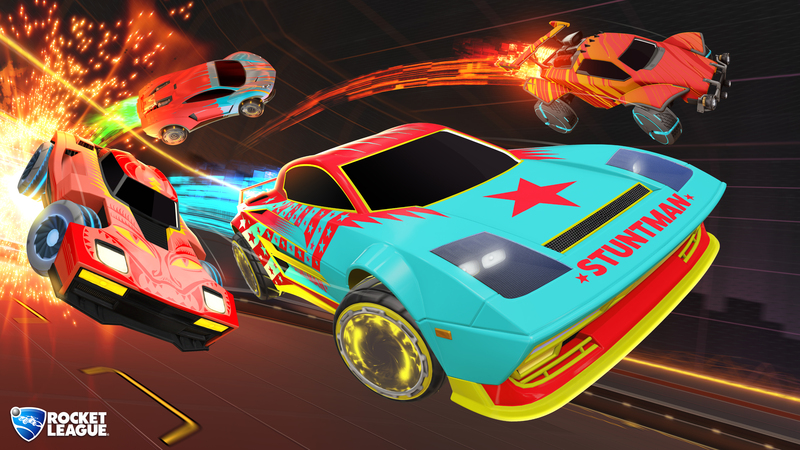 Expected to go live on April 16 (pending first-party certification), this new update will not only include its namesake, the Esports Shop, but also Rocket Pass 3, kicking off one day after that on April 17. You'll now be able to show off your team pride for your favorite esport squads competing in Rocket League Esports. The Esports Shop will open for business on April 16. Of course, there's still a lot more to share about the Esports Shop, but we'll reveal everything there is to know—including its items, look, and more next week. Rocket Pass 3 will debut soon with a Challenge System! Get ready to climb your way to the Pro Tiers. Look for an in-depth look at Rocket Pass 3 and the new Challenge System very soon. REPLAY FX, HDR SUPPORT, AND MORE! We've added a new Replay FX system that content creators should enjoy. With this new toolset, you'll be able to give your replays the full "photo mode" treatment by changing the depth of field, altering backgrounds, adding green screen effects, color adjustment, and more post-processing effects. Please note that Replay FX is still in a beta phase, but the entire control suite will be available when the update goes live. Also coming in this update: HDR support for PS4, PS4 Pro, and Xbox One S.
We're excited to bring this new content to Rocket League on April 16. 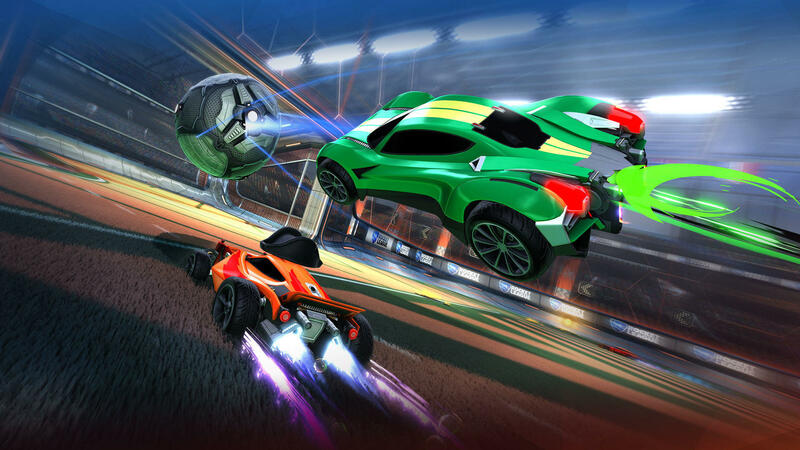 Stay tuned to the blog next week when we'll be taking a deep dive into the Esports Shop, Rocket Pass 3, and Challenges. Get ready to earn twice the XP and have twice the chance of earning Painted in-game items in Rocket League! As the headline says, starting March 7, you'll be able to take advantage of a 2XP and a Double Painted Weekend! During this special event, you can earn double the amount of base experience in all Casual, Competitive, and Extra Mode Playlist Matches via the “+100% Special Event” XP bonus. In addition to that bonus, all Crates will also have double the chance of containing Painted items. That means if you have any Crates in your inventory that you haven’t opened yet, this weekend will be a great time to do it! 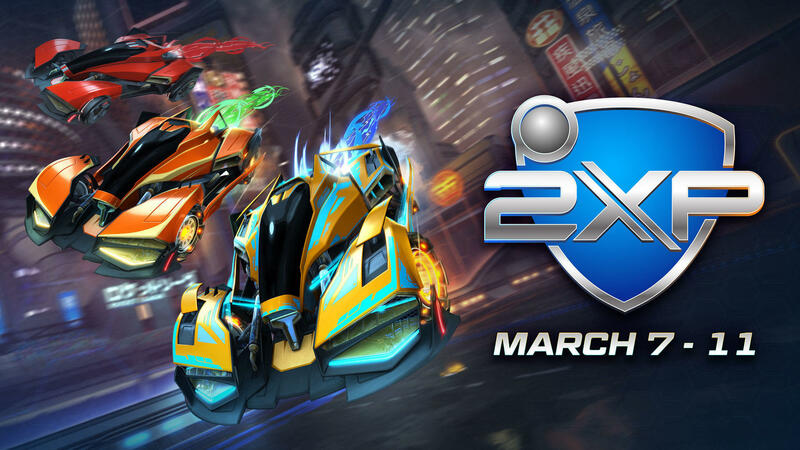 Also of note is that Rocket Pass 2 ends on March 18, so the weekend event will be a great opportunity to take advantage of the 2XP to Tier-up even faster to get to the Pro Tiers. We hope you enjoy this Double XP and Double Painted Item Weekend. As always, good luck and have fun! Version 1.59 is now live for Rocket League. Check out the full list of patch notes below. Dunk House: In Free Play, the Ball does not lift right after the user moves out of the kick-off position like it does in offline or online matches. 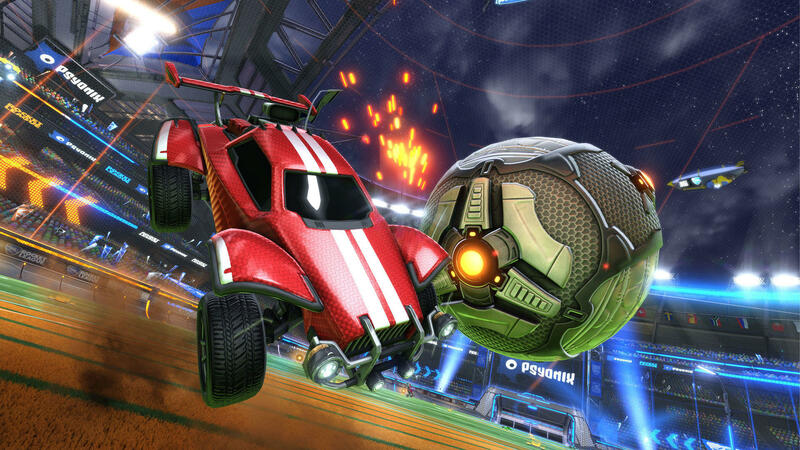 A new crate will be making its way into Rocket League next week. The all-new Ferocity Crate will start dropping on Monday, February 25 at 10:00 a.m. PST (6:00 p.m. UTC). With it, you’ll be able to show off new customizations to your friends on all platforms following our Friends Update. The Ferocity Crate will have 17 customizations, including the new Diestro Battle-Car. In-game items in the Ferocity Crate are subject to the same drop rates as our previous Crates. ELEAGUE has committed to producing a series of episodes that will feature the world’s premier bRocket League esports competition, Psyonix’s Rocket League Championship Series (RLCS). 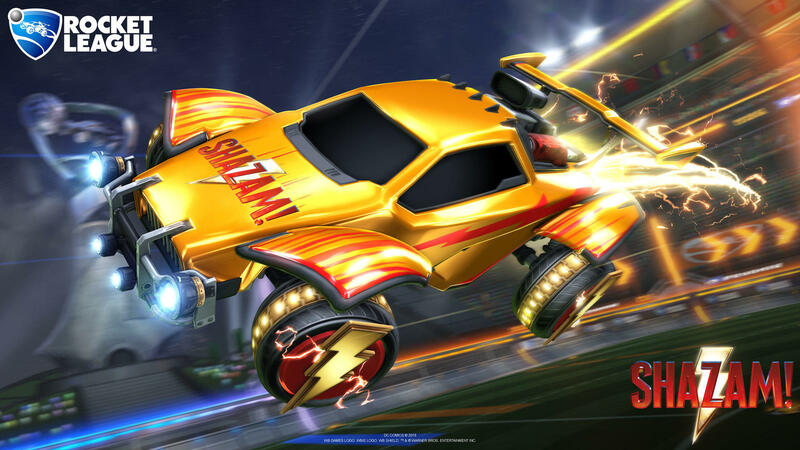 The show will cover the players, teams and stories of two upcoming RLCS seasons, Season 7 and Season 8, with the premiere set to air on TBS later in 2019. The program will capture the victories, defeats and untold stories behind the world’s best Rocket League players and teams through all steps of each RLCS season in 2019. The partnership also provides for Turner Sports’ ad sales team to represent all the advertising and sponsorships across Seasons 7 and 8 of the RLCS. In addition, the deal includes plans for the top four teams from the upcoming Collegiate Rocket League (CRL) Spring Season to compete in an exhibition competition held during the Final Four Fan Fest (April 5-8 in Minneapolis). Additional details surrounding this event will be shared in the coming weeks.